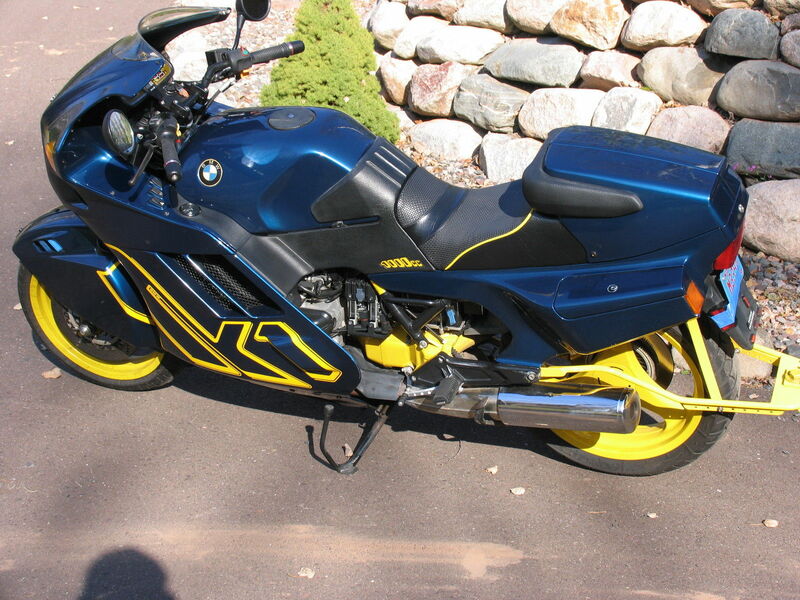 The BMW K1 is a polarizing bike with very distinctive styling. This example stands out even more thanks to a color-matched Uni-Go motorcycling touring trailer. I’m still on the fence about adding a trailer to a bike like this, but I guess you could do worse than a Uni-Go, which leans into turns as you do. This specific K1 (VIN: WB105350XL6365277) has just over 50,000 miles and is being offered by the third owner. It’s got several hairline cracks in the fairing and a minor fork seal leak, but it also has Progressive fork springs, a Corbin seat, bar risers, and a Throttlemeister – this bike has been setup for touring duty, and the seller rode the rig from Wisconsin to the Barber Vintage Festival last fall. Around that same time, it won “Best of Show” at the Wisconsin Dells BMW Rally.